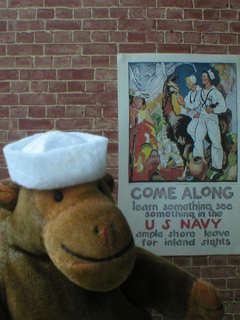 "I didn't join the Navy just to look at some water, you know"
Mr Monkey saw a poster promising that he could learn something and see something in the US Navy, but all he really learnt was that he didn't want to see the sea very much. He did get a nice little hat to keep, though. 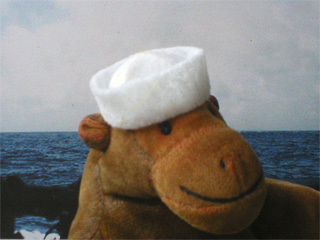 Mr Monkey's dixie cup cap is made entirely from felt.